Please join us for a hot, nutritious and tasty lunch every Monday through Friday from 12:00-1:00pm. 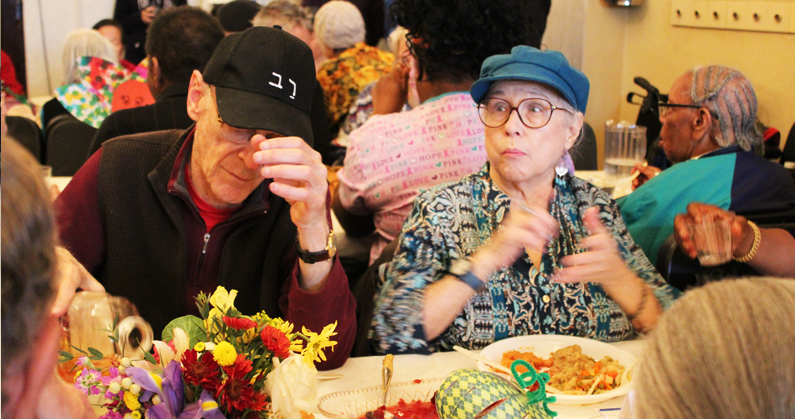 Meals are provided on a first-come, first served basis to adults age 60 and better. While a donation is suggested, no one is ever turned away. View monthly lunch menu here. 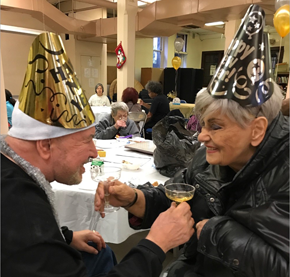 Our welcoming community of older adults delights in celebrating individual milestones and cultural events. Whether it is a Happy Birthday song and cake for dessert or an afternoon-long celebration of Hispanic Culture, where members joyously share their diversity, the center staff is always ready to arrange the festivities. View this month’s calendar and menu here.